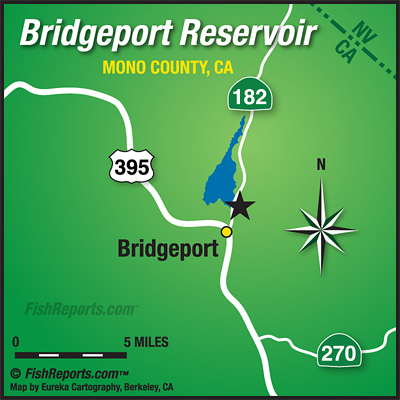 Bridgeport is still fishing very well from boats and we did have one or two good reports from shore anglers this past week. The good shore reports were from down near the dam fishing inflated crawlers as well as throwing some small Rapalas earlier in the morning. Trolling has been good with crawlers, needlefish and Rapalas, bait angling out of boats has been good with inflated crawlers, pinched crawlers, power bait and mice tails. The trolling has been the best in 14 to 18 feet of water a little towards the South of the lake, bait fishing has been good off of Rainbow Point as well as out in the middle in 12 to 15 feet of water.